Deliver a message with delicious chocolate. 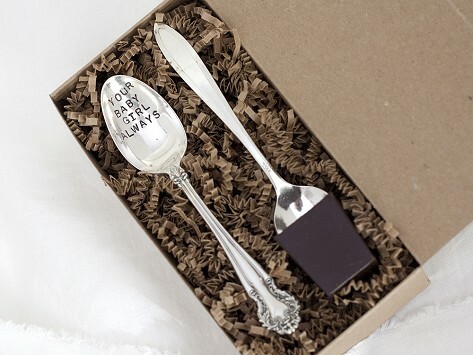 These one-of-a-kind vintage silverplate teaspoons are hand-stamped and dipped in couverture chocolate. 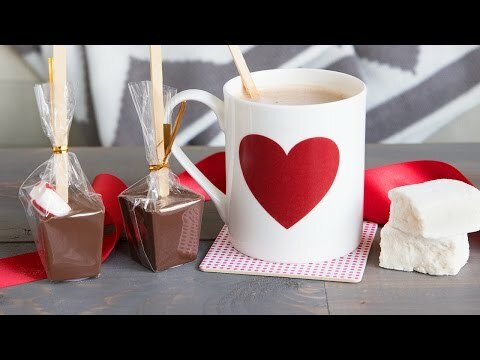 Just swirl the spoon in a cup of steamed milk to reveal a personalized message and create a cup of delicious hot chocolate. Dimensions: 7" x 3.5" x 2"